The best things in life come with a wait. 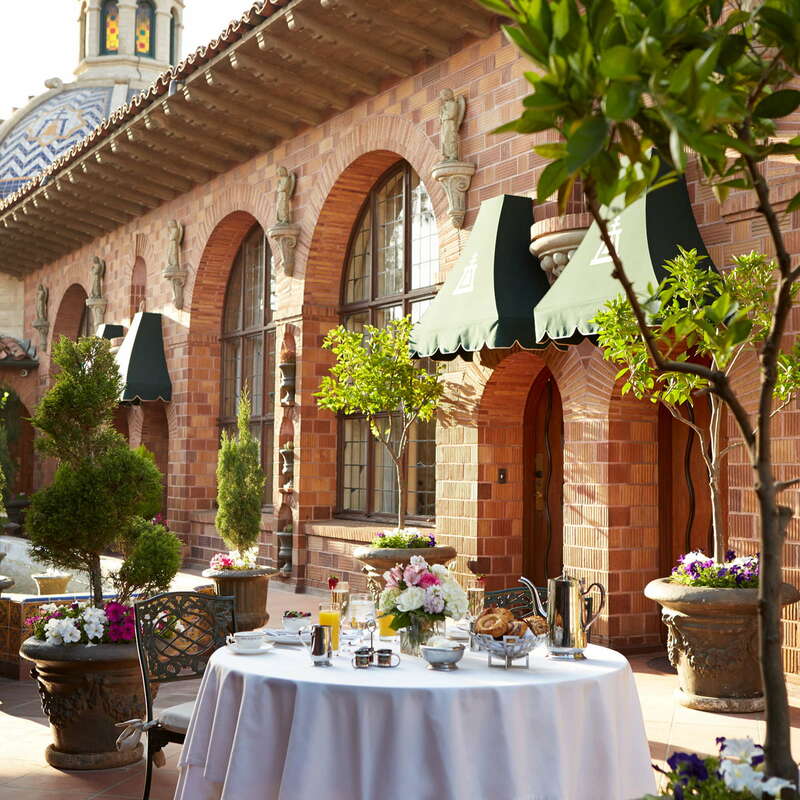 In the Mission Inn’s case, the wait comes in the form of a long drive about an hour east of Los Angeles. 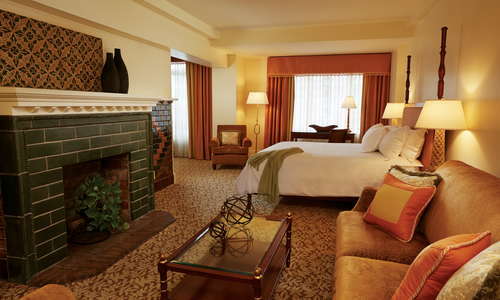 But the hotel is worth the journey, as guests will discover one of the most unique properties in all of California. 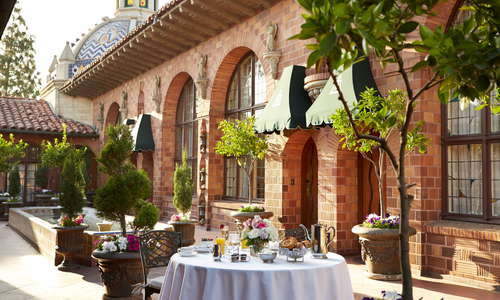 The hotel was built in 1876 and is just as much a living museum as it is a hotel and has hosted everyone from presidents and movie stars to famous athletes and astronauts. If you want to see one of the most insane spectacles, come to the Inn during winter months for the annual Festival of Lights. The hotel is draped in over five million lights and includes hundreds of animated figures, and other fun holiday offerings. There is a wide array of room types amongst this palace’s 238 guest rooms. But whether you stay in a standard or a suite, all the rooms come with large flat-screen TVs, coffeemakers, and work desks. Wireless internet is not free, but you won’t notice the cost after a perfect night’s rest in the softest sheets you’ll ever find. Request one of the suites by the rotunda. There you’ll see a bust of Abraham Lincoln, stunning views of the surrounding valley, and a circular, vertigo-inducing staircase that drops down to the bottom floor. YOU SHOULD KNOW There are nearby train tracks and if you’re a light sleeper, you might get woken up by the train horns blaring through the night. Depending on room type, bathrooms might come with black-tiled sunken tubs and separate walk-in showers with multiple shower heads. Bath products are courtesy of the award-winning Kelly’s Spa inside the hotel. It’s worth exploring this hotel as there are endless points of interest. After passing the hotel’s Macaws (they might speak to you), you’ll see the oldest dated bell in Christendom from A.D. 1247. Head deeper into the bellows and you’ll find the elaborate St. Francis of Assisi Chapel. Continue further and you might happen upon an entire wing that consists of Japanese art and architecture. Sit in the William Howard Taft Chair that was designed to fit the rotund 27th president of the United States. Rumor has it that he was so incredibly offended by the chair’s size that he refused to sit in it. The large pool at the front of the hotel is perfect for kids to cool off from the Riverside sun. Families can also order food and beverages poolside--try their juices for a quick pick-me-up. 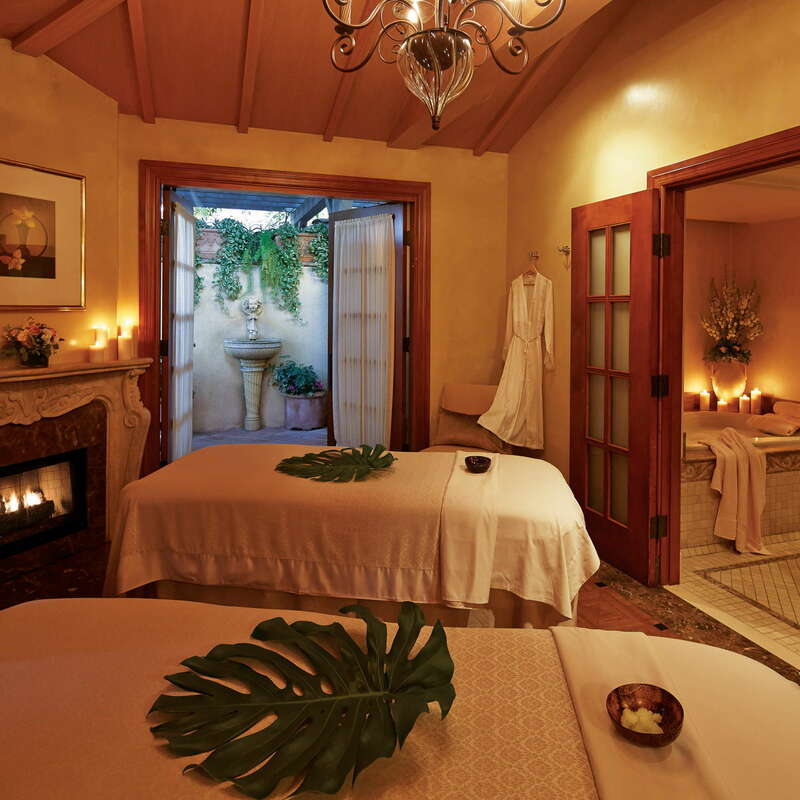 Kelly’s Spa is an internationally recognized treatment facility with an incredible array of options. 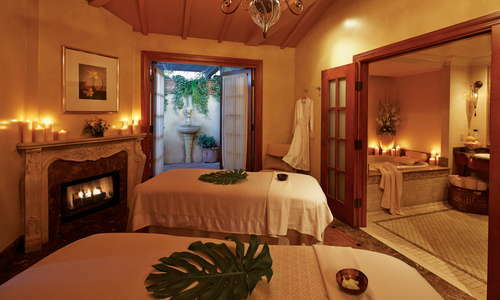 Guests can indulge in a variety of massages, facials, body wraps, skin care treatments, body scrubs, and more. A nicely-sized fitness center comes with cardio machines, yoga mats, free weights, and fruit-infused water to help you stay hydrated. If you have any concerns about where to eat in Riverside, they will be allayed by the five or six restaurants inside the hotel. For meat eaters, there’s the award-winning Duane’s Prime Steaks and Seafood. Fans of Mexican food will devour the guac at Las Campanas. And pasta junkies will love twirling their linguini at Bella Trattoria. The hotel’s main restaurant has a beautiful outdoor patio and serves a hearty brunch as well as lunch and dinner options. If you have a sweet tooth, you can head over to Casey’s Cupcakes for deliciously, divine delicacies. 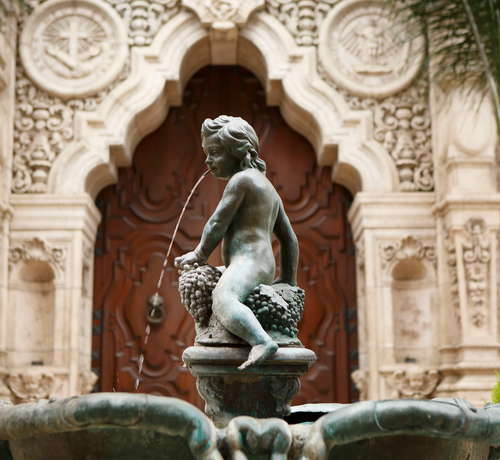 Like most things at The Mission Inn, there are multiple drinking options. Inside the scholarly Presidential Lounge, guests can enjoy a 2-hour happy hour, live jazz on Saturday nights, and signature drinks like a JFK Cosmopolitan. Another watering hole is 54 Degrees at Duane’s, a chic and sophisticated wine bar. The Presidential Lounge is where Richard Nixon was married and where Ronald and Nancy Reagan spent their honeymoon. Downtown Riverside is a very walkable area and the hotel is centered around restaurants, bars, museums, attractions, and shopping. Getting to farther reaches of the area requires a car, which you should think about renting if you come out here. However, there is a train that can take you from Union Station in Downtown LA almost directly to the hotel. In the immediate vicinity of the hotel are a myriad of restaurants. For French cuisine, check out Le Chat Noir (5-minute walk). For casual fare, head to Woodfire Café (6-minute walk). The sultry speakeasy ProAbition Kitchen and Whiskey Lounge (1-minute walk) is a lively spot for drinking and dancing. Lake Alice Trading Co. (3-minute walk), is a rowdy saloon and sports bar with karaoke and live music. Most tourists who come to LA don’t typically think of heading out to Riverside, but this hotel helps make the city a worthy destination. 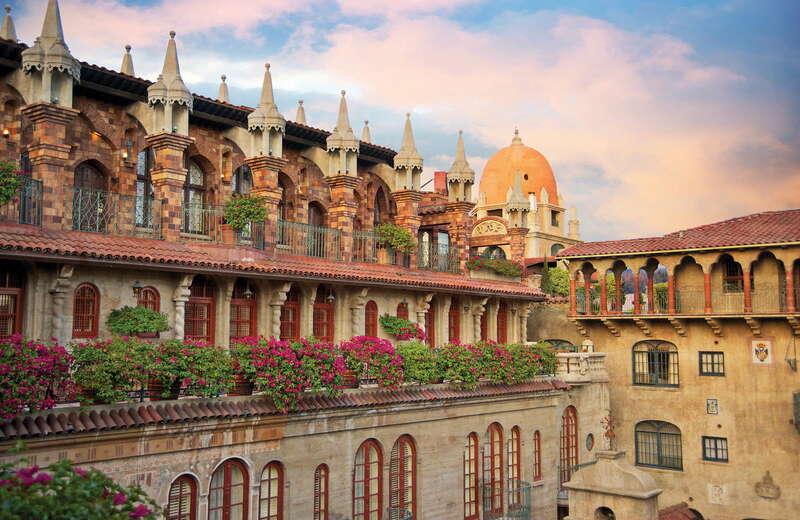 Filled with presidential, celebrity, and US history, The Mission Inn is an architectural marvel with a vast array of dining, drinking, and sightseeing options. 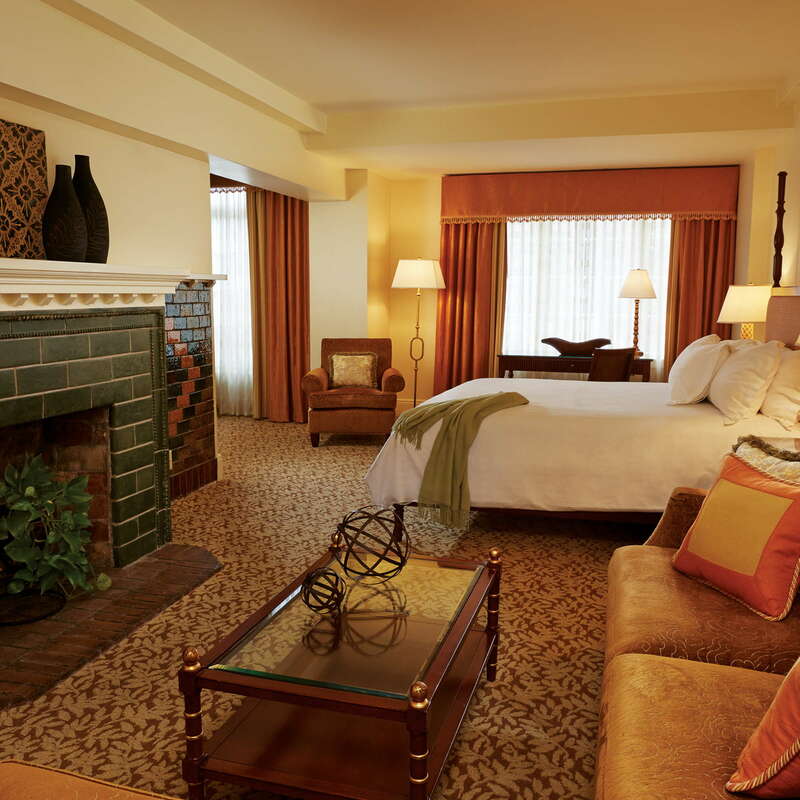 Families will love the pool, spa, and access to activities. While Riverside isn’t close to LA, the myriad events like the Festival of Lights make the trip well-worth taking.